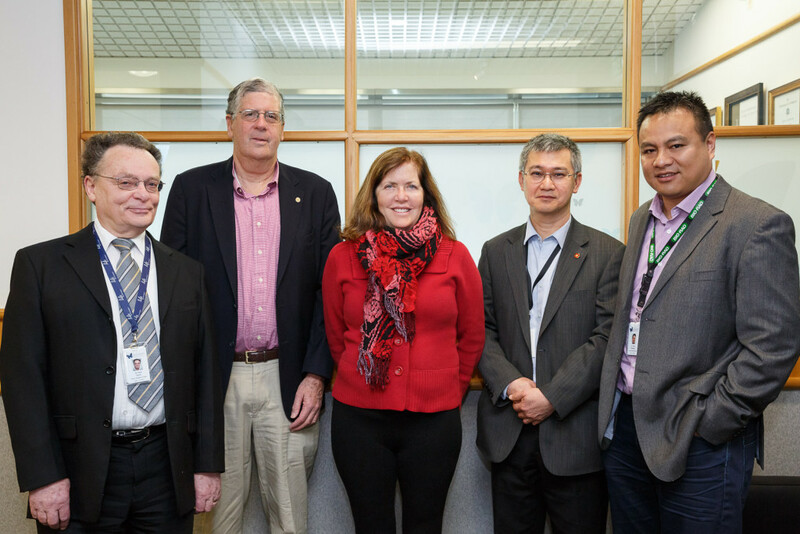 Professor Martin Friedlander MD, PhD and his wife Professor Sheila Friedlander MD were in Wellington visiting Dr Tan and his team at the GMRI. They spoke to an audience of 170 about their respective research fields, both of which parallel the GMRI’s work. Professor Martin Friedlander is a Professor in the Department of Cell and Molecular Biology at The Scripps Research Institute, San Diego. He is also Chief of the Retina Division in the Department of Ophthalmology at Scripps Clinic and President of the Lowy Medical Research Institute in La Jolla, California. Professor Sheila Friedlander is a Professor of Pediatrics and Dermatology in the School of Medicine at the University of California, San Diego. A practicing ophthalmologist, Professor Martin Friedlander spoke about his research on the role of stem cells in eye diseases, particularly in relation to restoring vision. “We are trying to understand how to manage and control stem cells so we can use them to provide ‘replacement parts’ for the body,” he said. Professor Friedlander said this is closely related to Dr Tan’s and colleagues’ work on strawberry birthmarks, and the successful treatment of that condition using commonly used drugs like Propranolol. Professor Sheila Friedlander is known internationally for her work in vascular birthmarks. She spoke about her involvement in the largest ever American trial investigating the occurrence and risk factors associated with infantile hemangiomas, the results of which were published in the British Journal of Dermatology in 2013. She also spoke about her role as the lead American investigator in the international trial that reported on the ‘Randomised Controlled Trial of Oral Propranolol in Infantile Hemangioma’. The results of the trial were published this year in the prestigious New England Journal of Medicine. Dr Tan said it was a privilege to host the Friedlanders, and that he and colleagues are looking forward to having an ongoing collaboration with them. “The Friedlanders are involved in groundbreaking research. It’s great to be able to collaborate with them, to work towards shared research goals and to engage in translating research to achieve better patient care,” he said.